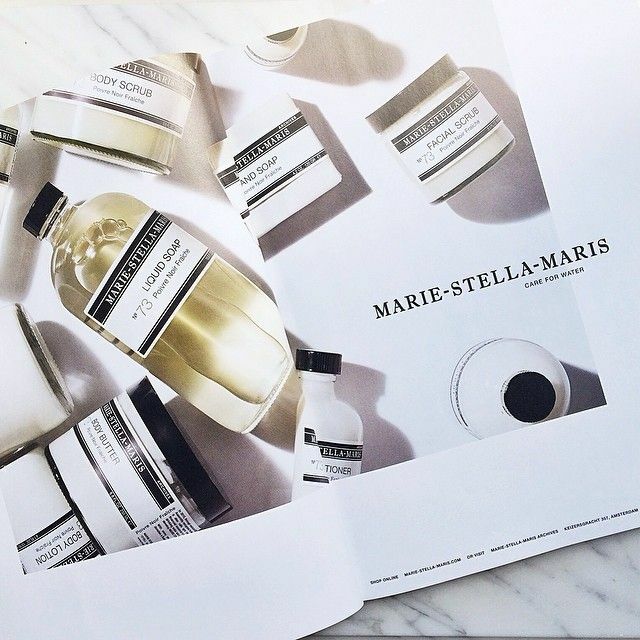 Today I’m sharing my last in a series of favorite Holiday brands from 2014. 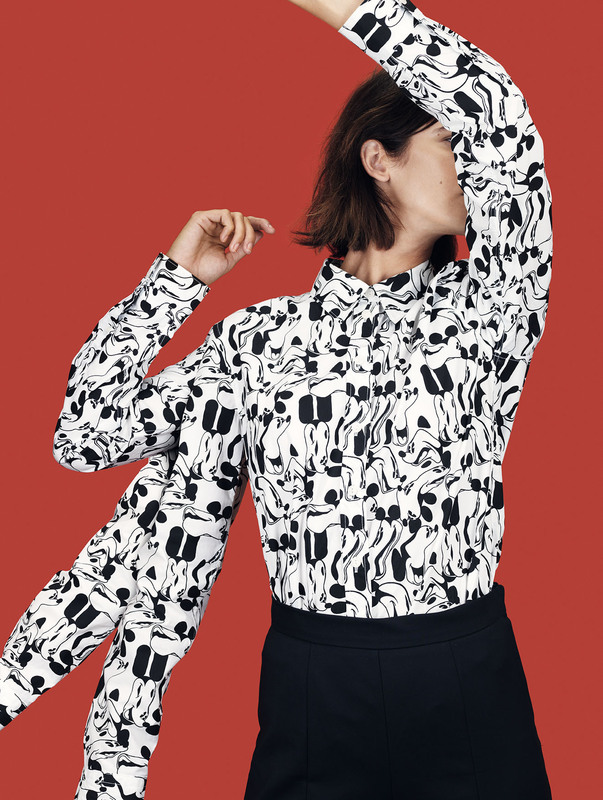 Earlier I shared Shinola’s + Sephora’s holiday campaigns + mood boards, and today I’m blogging about one brand that should be very familiar on this blog, Marimekko. 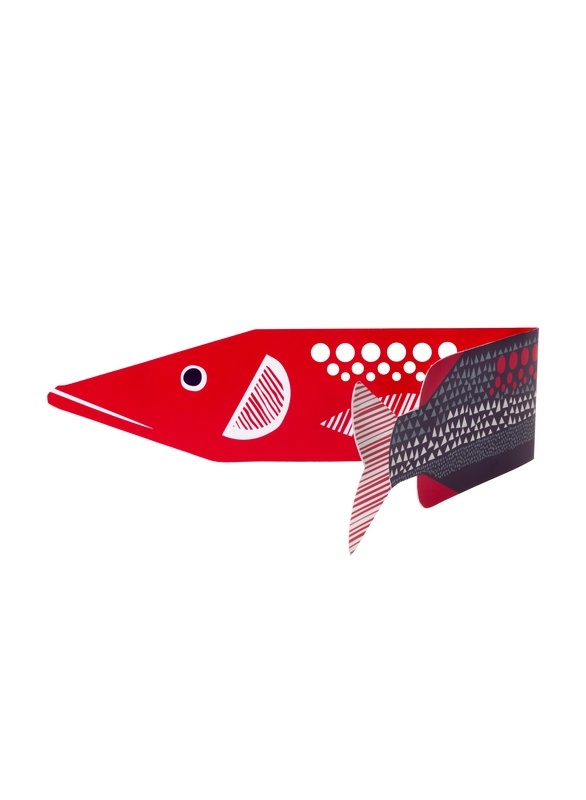 Every year the folks at Marimekko select prints and color ways to spotlight during the holiday season. They aren’t always “Christmas” patterns, as some are existing patterns in new color ways for the season. 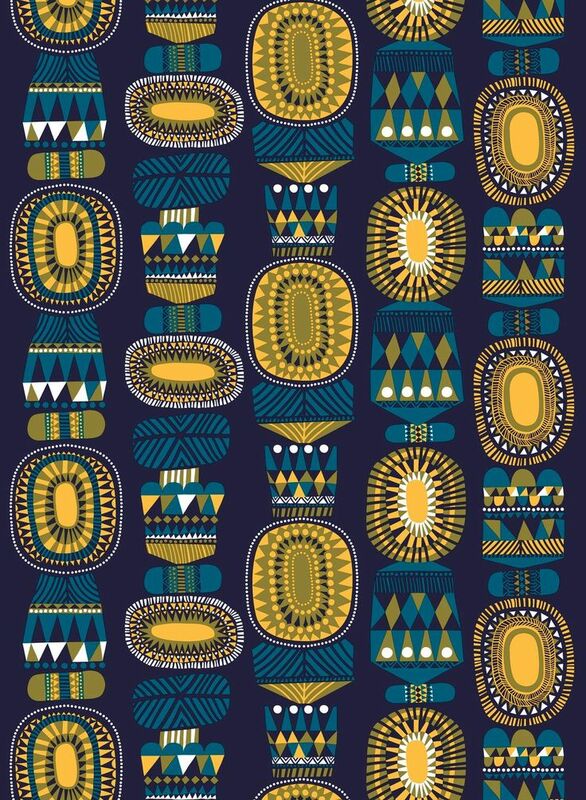 I especially love Sanna Annukka’s Lamppupampula pattern (pictured above), how great are those colors? 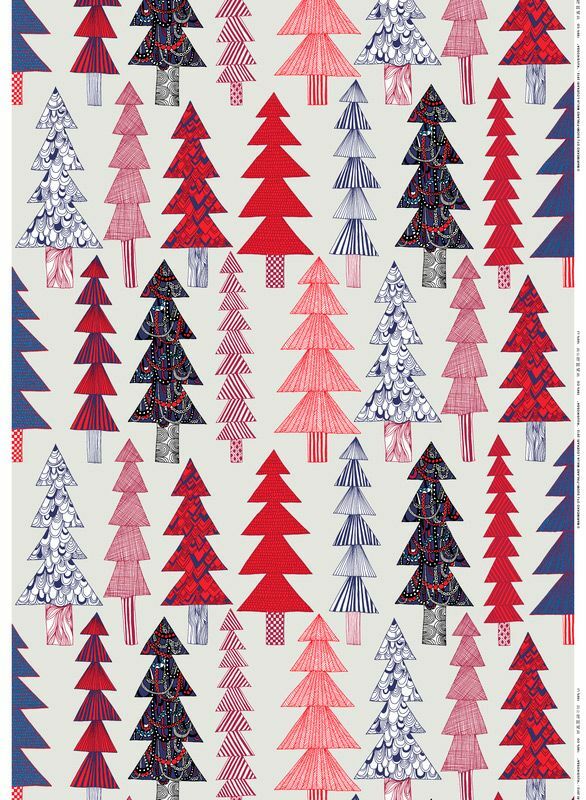 I also like Maija Louekari’s playful Kuusikossa pattern that is very holiday themed (christmas trees, see below in post). 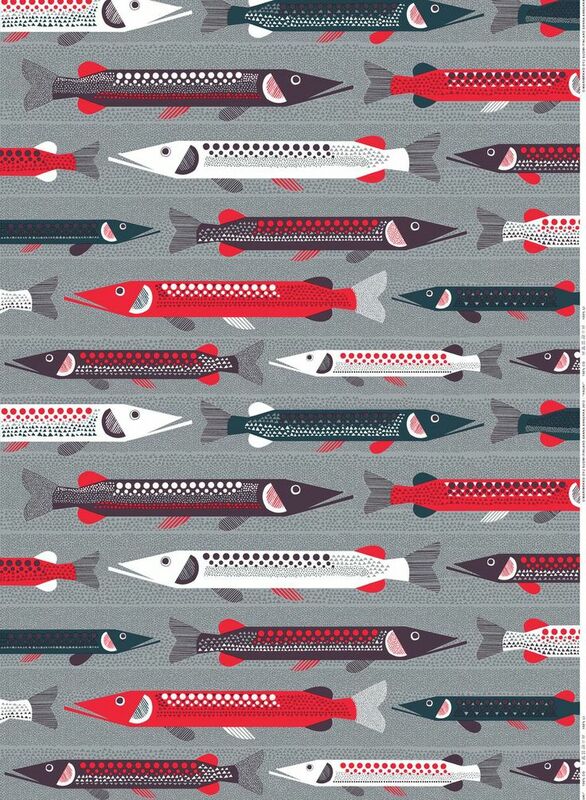 Another favorite is Sami Ruotsalainen’s Hauki pattern, with the fish. 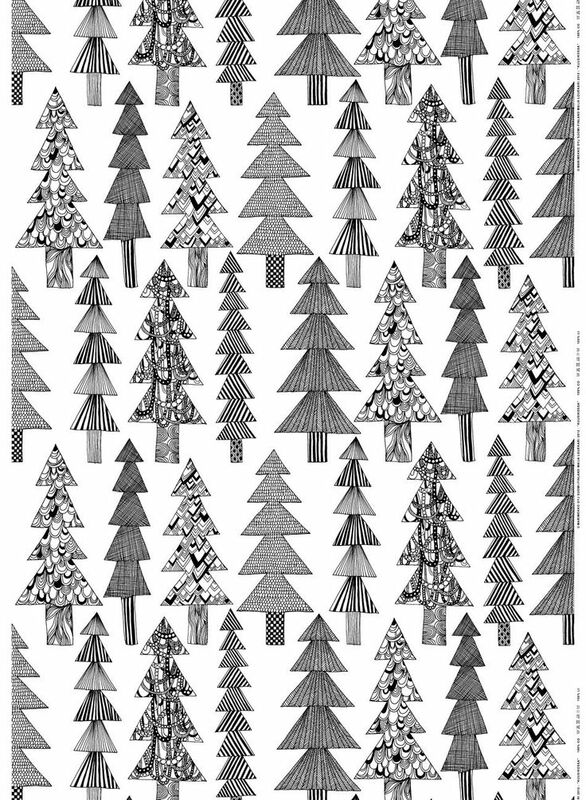 These patterns and products would look great in any home during the holidays, or throughout the year. 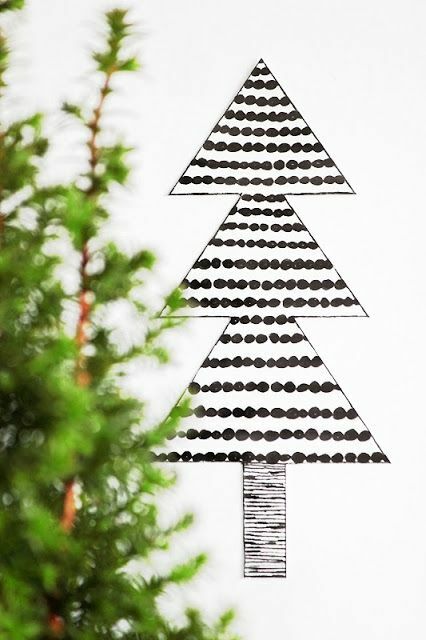 Hope you enjoyed these Holiday-themed posts and get into the wonderful world of Marimekko below. Sanna Annukka’s Lamppupampula Pattern, pictured above. Maija Louekari’s Kuusikossa Pattern, below. Sami Ruotsalainen’s Hauki Pattern, pictured below. I love these fish! How great are these? 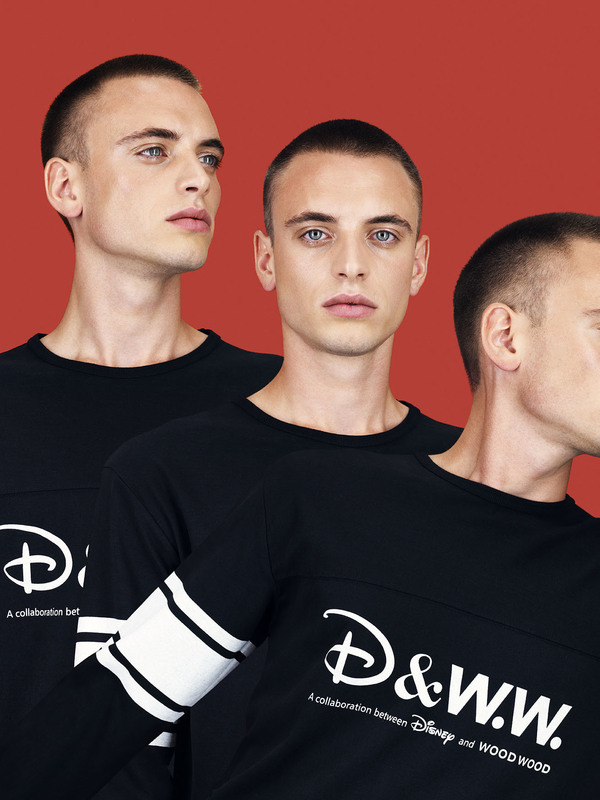 Recently I stumbled across the a-mazing collaboration between Scandinavian streetwear brand Wood Wood, and Disney. 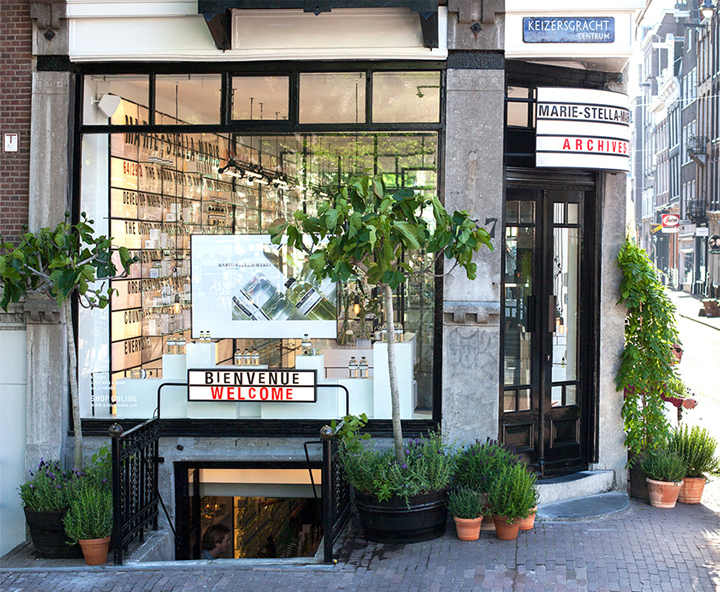 This capsulate collection was first released at Colette in Paris, then online in Europe. 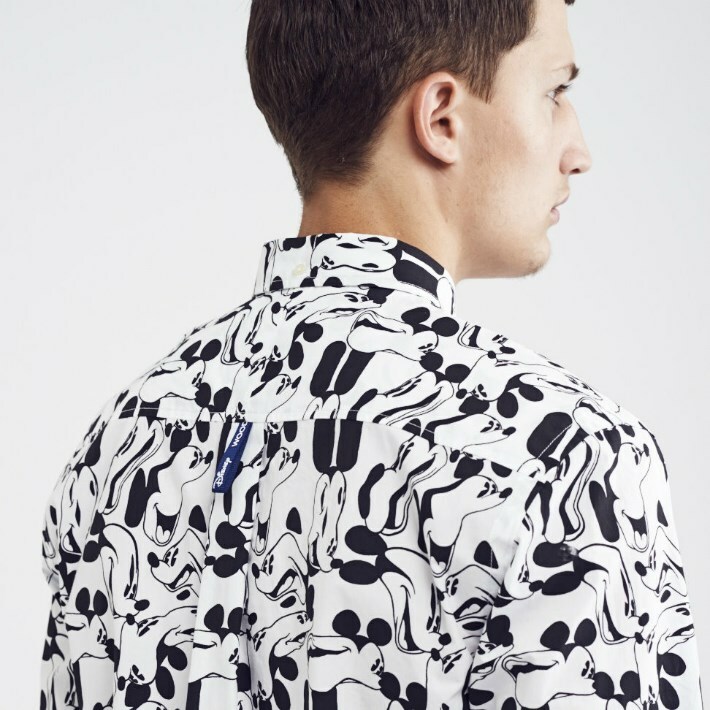 I was immediately drawn to the abstracted patterns and prints designer Brian SS Jensen created of Disney’s Mickey Mouse. 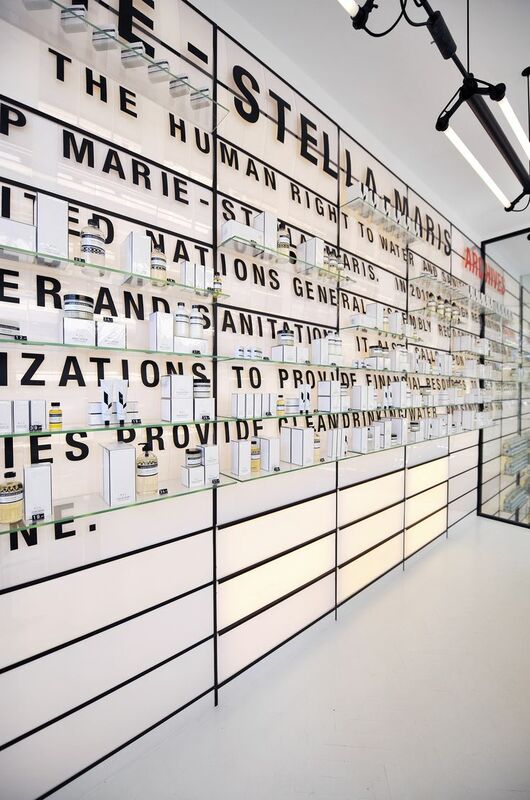 How inventive and creative! It’s frankly surprising a mega-brand like Disney would license their creative in this way. So forward thinking and cool of them. I can’t get enough of this entire collection. What do you guys think? Josef Frank “Manhattan” textile on Linen (above). 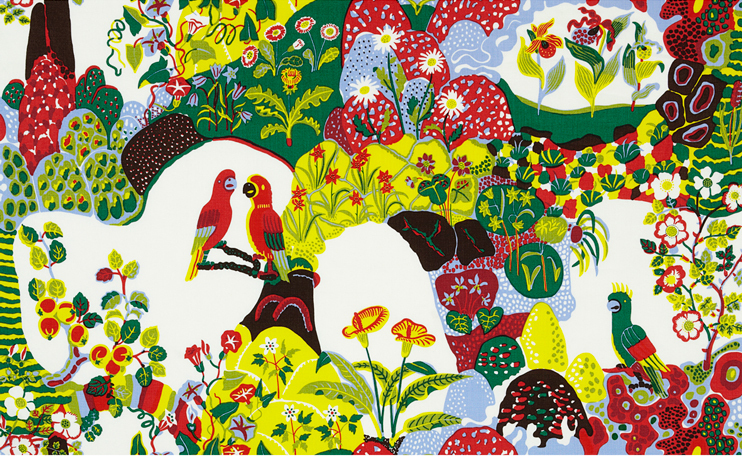 Today I bring you my third (and final) post in a series about Scandinavian textile designer Josef Frank. Originally I’d intended to release these posts back to back (to back) but work got a little crazy, so better late than never! As my other posts focused on nature/plants and bird motifs, this post contains some of Frank’s more unique patterns. 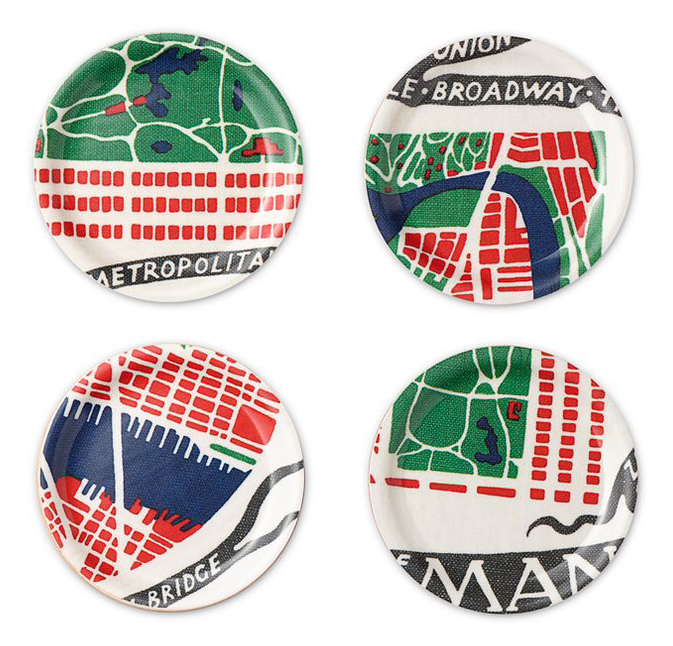 “Manhattan” is one of my favorite Frank patterns, partly because I live in NYC, but also because how graphic it is. The way it repeats is also pretty inventive. From 1942-1946, Josef Frank lived and worked as a visiting professor at the New School for Social Research in New York. 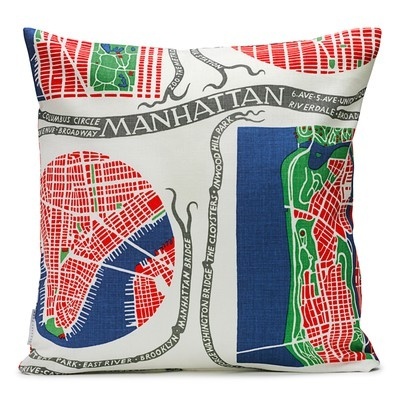 Frank found Manhattan’s city plan so interesting in its brutal simplicity that he created the Manhattan design which includes a map of the island. 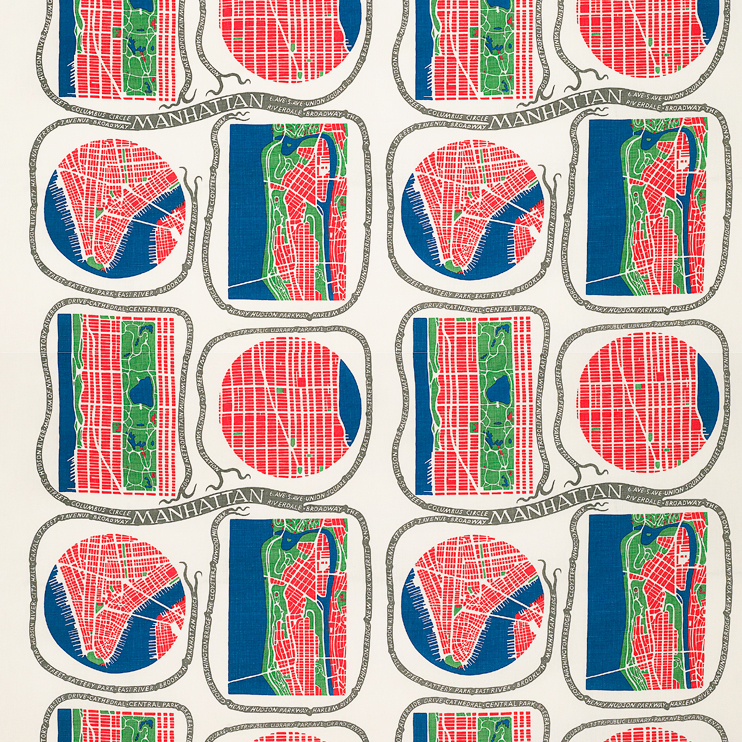 Frank designed similar patterns in this style for Stockholm, both of its city grid and another depicting its architecture. 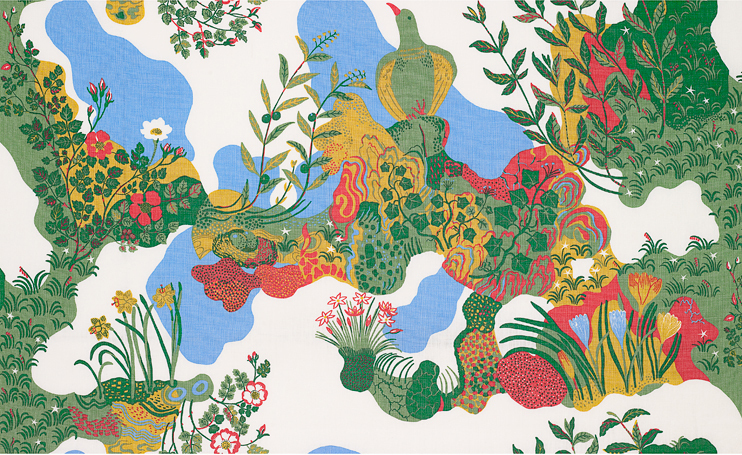 I hope you enjoy this final look (at least for now) of one of my favorite textile designers, Josef Frank. If you see anything you like, check out Svenskt Tenn‘s website, or Just Scandinavian here in NYC to see Frank’s work in person. 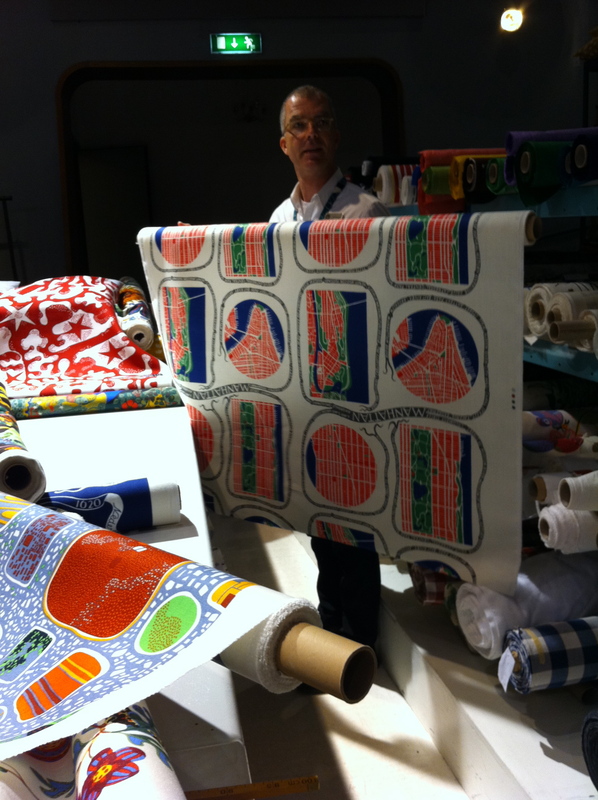 Frank’s “Manhattan” textile in person at Svenskt Tenn in Stockholm (above) from my study tour of Sweden. 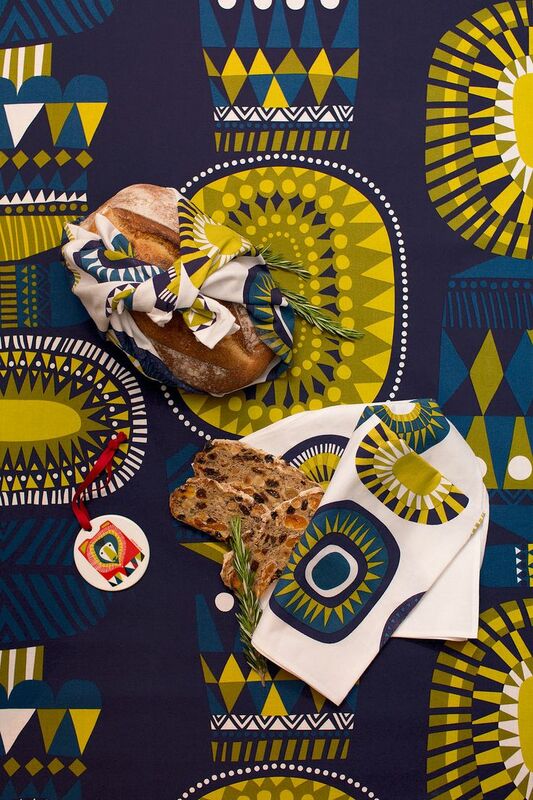 As you can see below, this pattern has been applied to several products at Svenkst Tenn including coasters, laminated wooden trays and pillows. 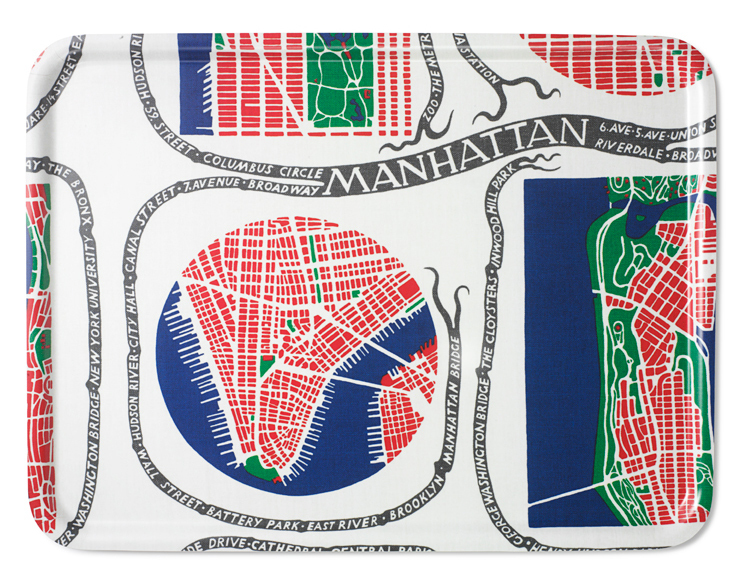 I have one of the small trays, but would love the Manhattan print on just about anything. 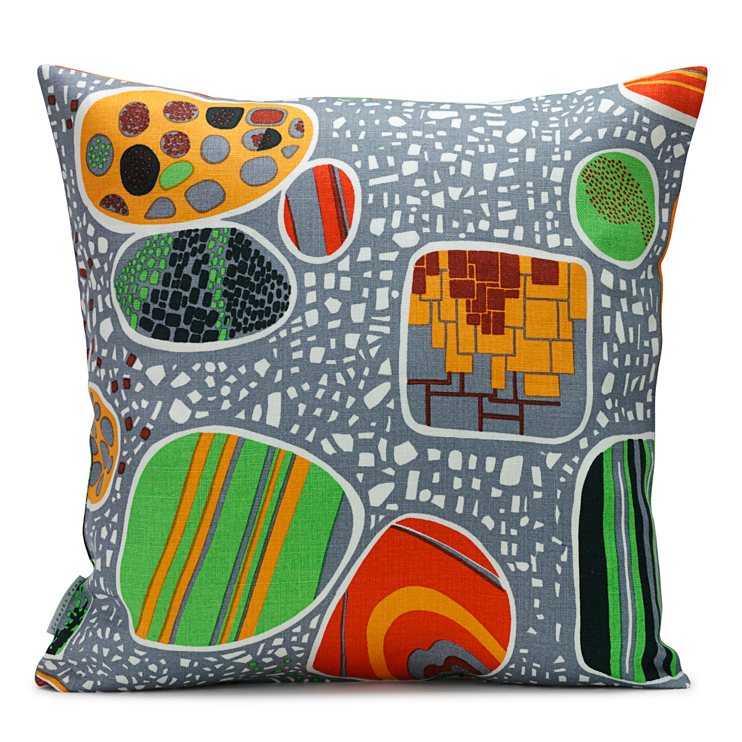 Josef Frank “Terrazzo” pillow (above). 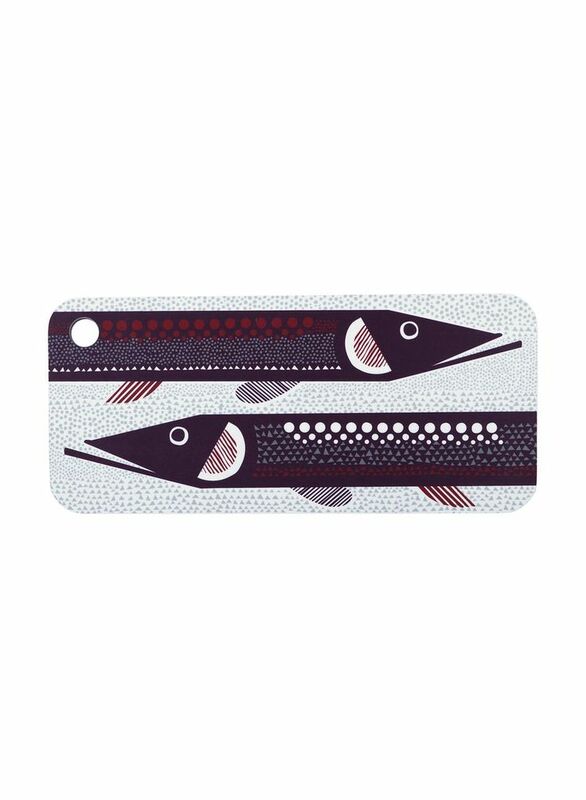 According to Svenskt Tenn’s website, of Frank 160+ patterns, only two varied from nature motifs, “Terrazzo” is one of such prints (below). This print was sent to Estrid Ericson as a gift on her 50th birthday in 1944. 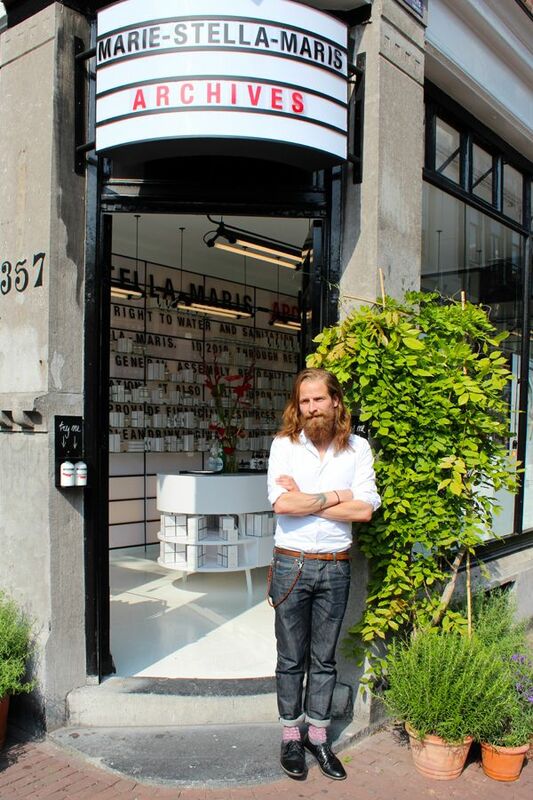 I was lucky enough to see “Terrazzo” in person during my visit to Svenkst Tenn in 2011. 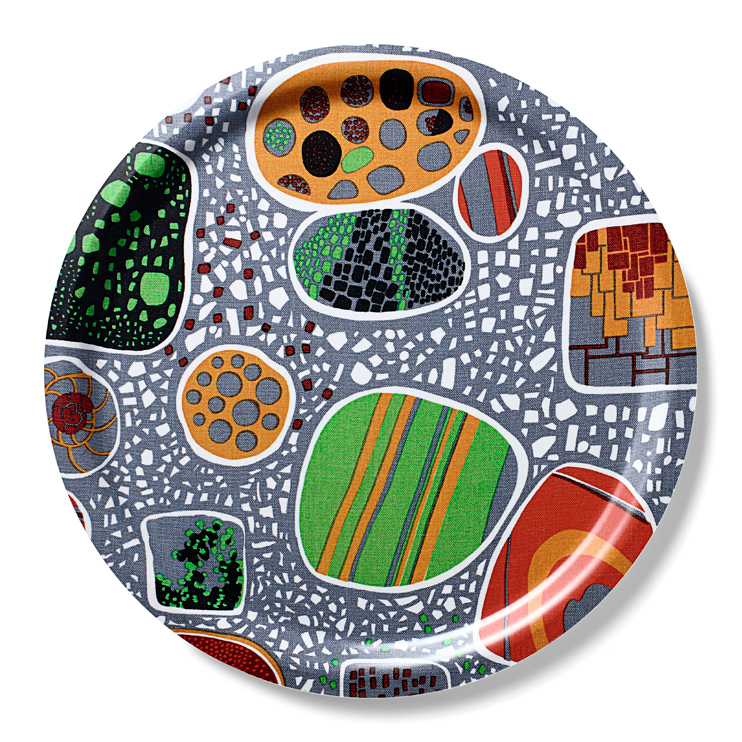 This pattern also comes on everything from pillows to plates (below). 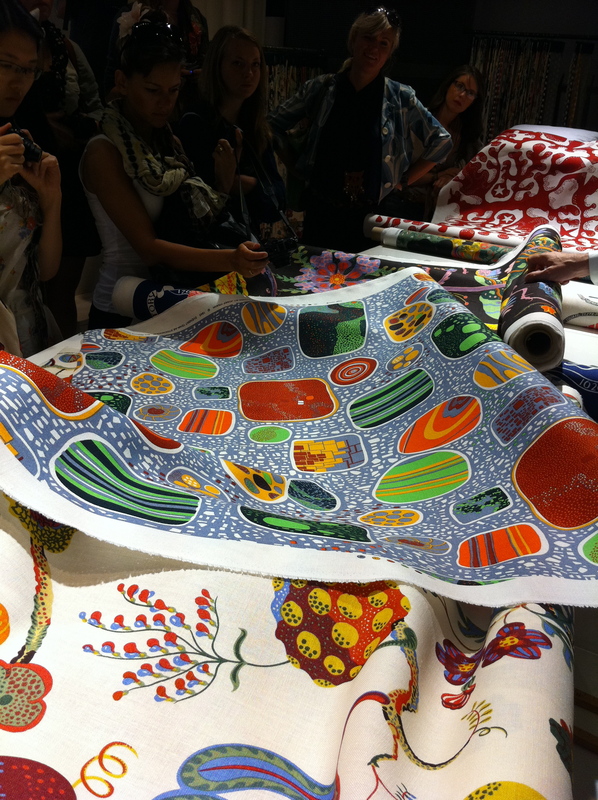 Close up view of a Frank textile at Svenskt Tenn in Stockholm, Sweden (above). 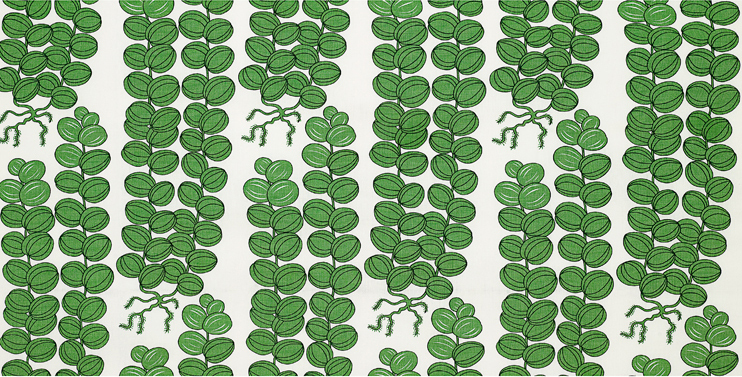 Continuing in my week of posts devoted to Scandinavian textile designer Josef Frank, today I bring you a new series of patterns. 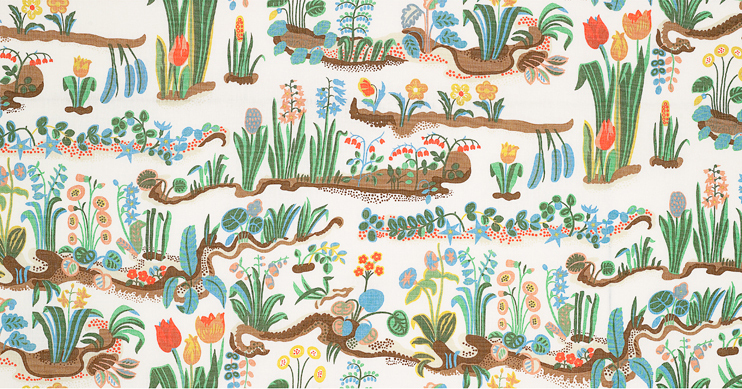 While compiling patterns to share from Svenskt Tenn‘s website (a great resource for all things Frank, and beautiful interiors) I noticed many of Frank’s patterns depict scenes with animals. I enjoy Frank’s creative approach to drawing animals, and especially birds. 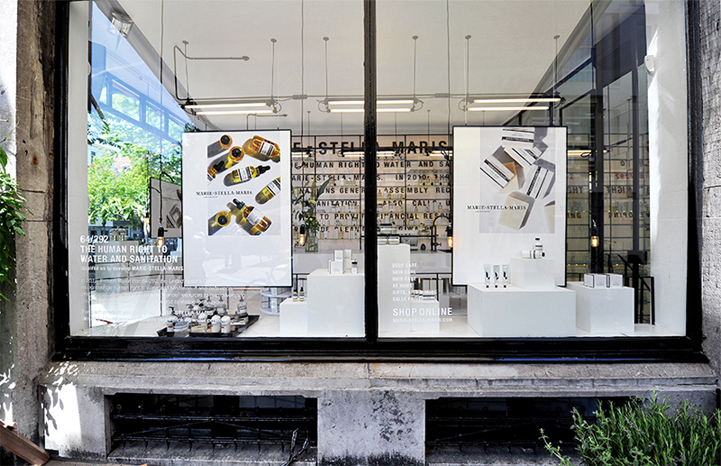 It’s clear nature played a huge role as inspiration for the designer. Interestingly enough, in this post I’m sharing both the FIRST and LAST patterns Frank ever created (with an artistic output of 170 patterns, these two patterns are then quite special). 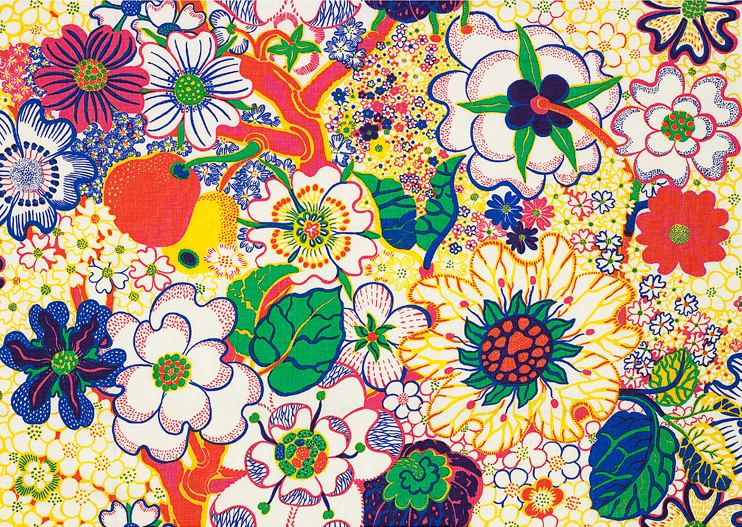 Hope you enjoy Day 2 of Josef Frank (check out Day 1 if you haven’t already), and of course, get into it! 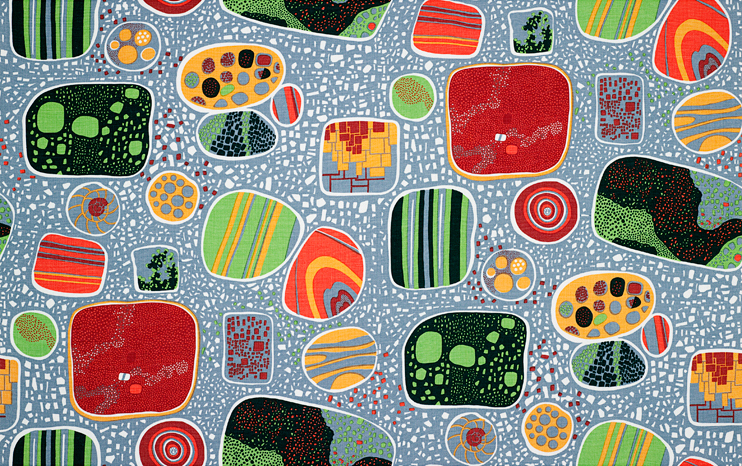 “Anakreon” textile by Josef Frank on Cotton. 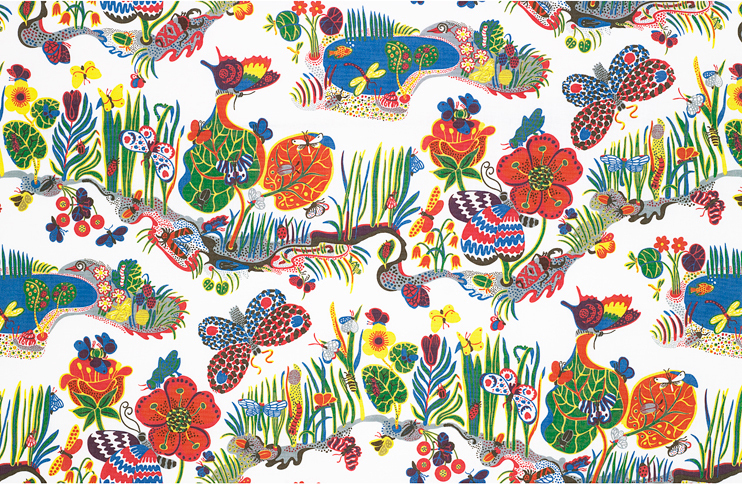 Anakreon was the first pattern that Josef Frank designed for Svenskt Tenn. 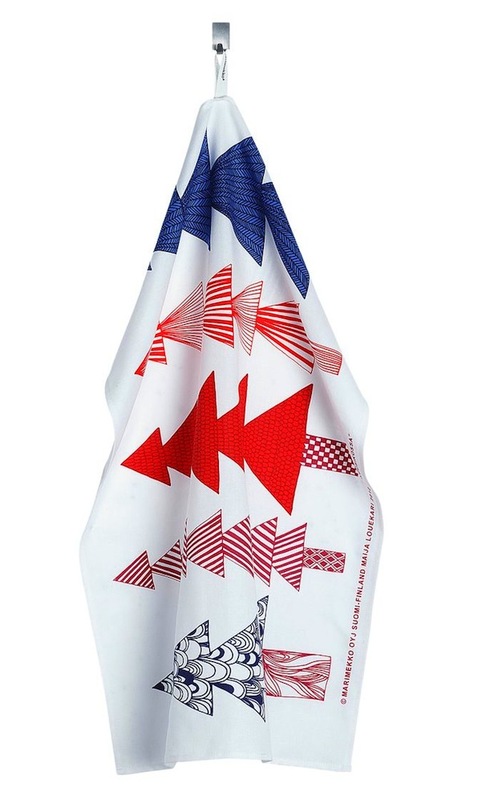 The pattern, completed in 1938, originates from a 3,500 year-old fresco from the palace in Knossos on Crete. 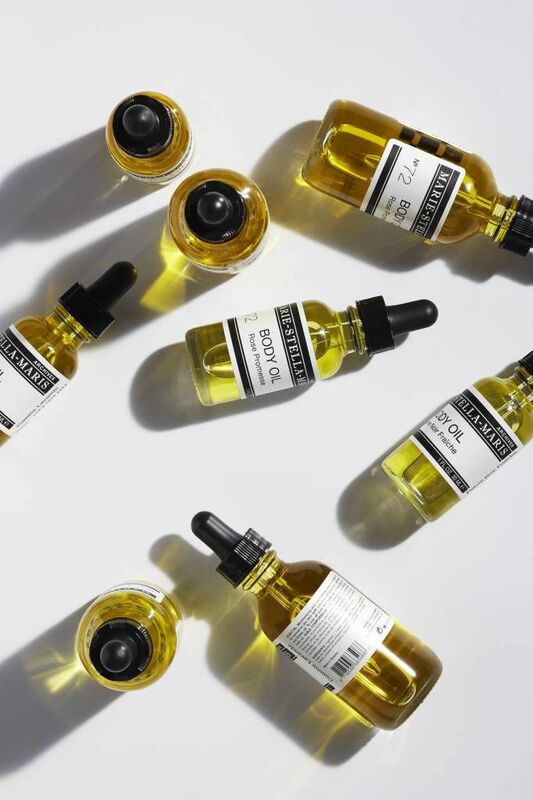 It is named after Anacreon, the Greek poet from 500 B.C. who was famous for his songs about love and drinking. Available in two colorways (above and below). 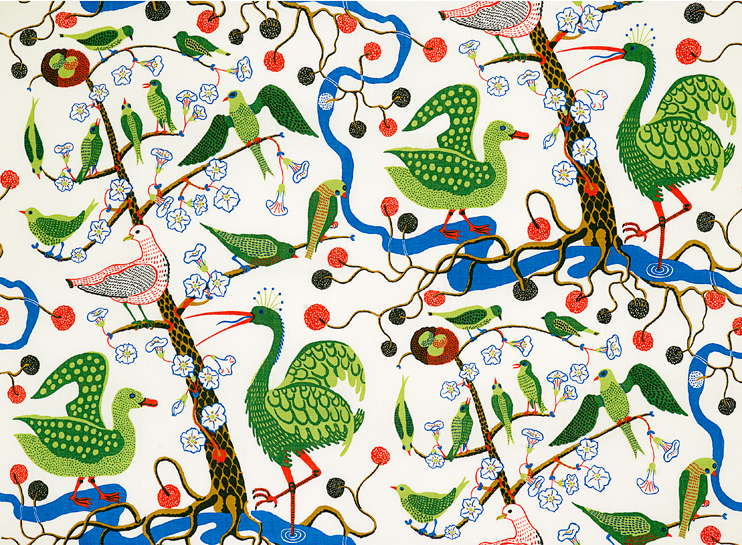 “Gröna Fåglar” (or Green Birds) textile by Josef Frank on Cotton (above). A Frank classic. “Italian Dinner” textile by Josef Frank on Linen (above). “Butterfly” textile by Josef Frank on Linen (above). 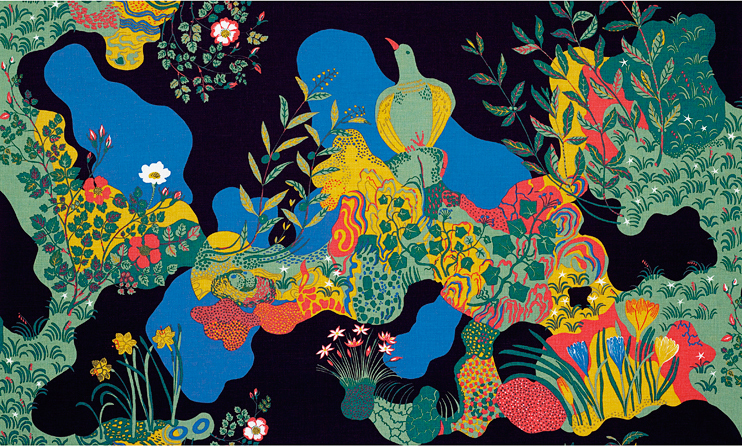 “Himalaya” textile by Josef Frank on Linen (above). 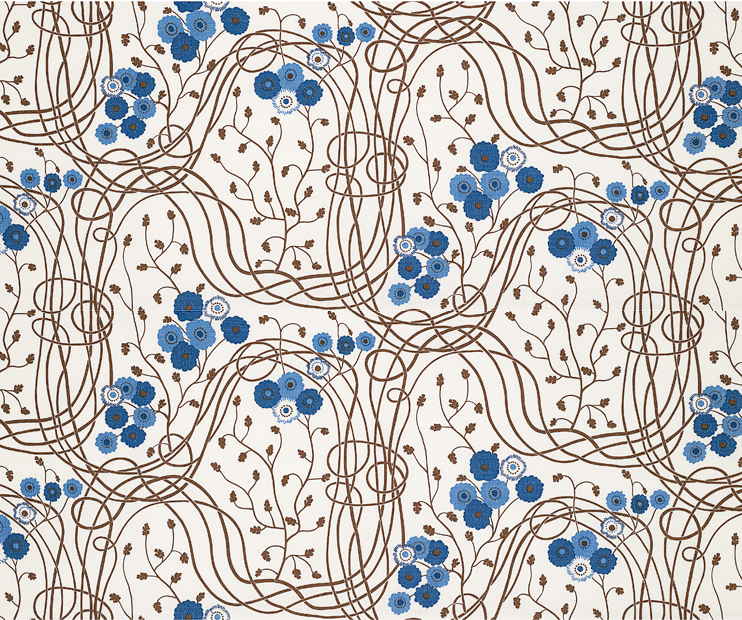 Josef Frank designed this pattern, which would be his last, in 1950. Looking back on his life‘s work, he summed it up in a culmination which he named Himalaya. In the pattern, a paradise on earth is drawn against the backdrop of rounded mountains in dramatic colours; the bounty of autumn and the pleasure of spring. Sad this was his last pattern, but how lucky are we that his legacy endures and is thriving after all these years? 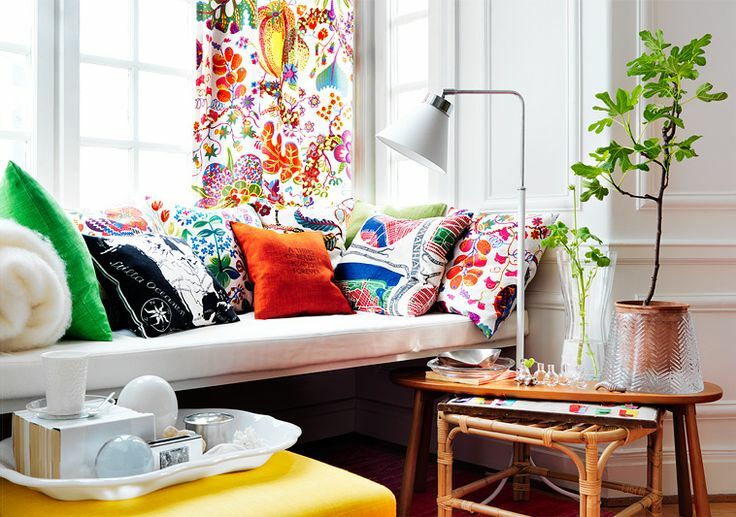 Almost 3 years ago, I blogged about the amazing architect turned textile designer Josef Frank during my study tour across Scandinavia. 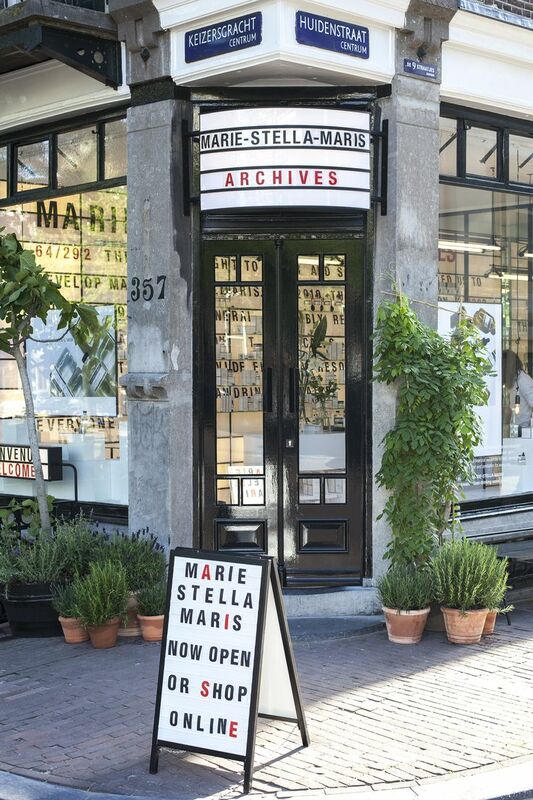 Since it’s been so long I thought I’d refresh everyone’s memory this week with a series of posts devoted to this wondrous designer. 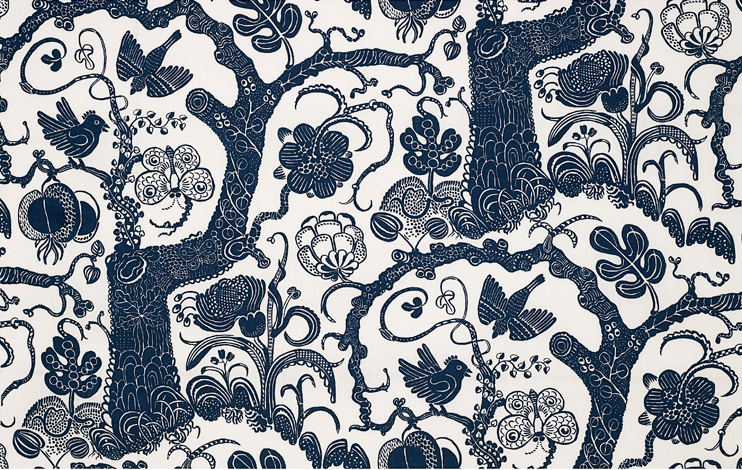 For those that don’t know, Josef Frank (1885-1967) is very famous in the Scandinavian design (and especially textile world) but I hadn’t heard of him until studying abroad in 2011. During his long career, Frank designed 170 patterns for printed fabrics, about 125 of which have been printed at least once. Roughly 40 of them are classics, most of them floral patterns, which although more than fifty years old, have not lost their freshness. 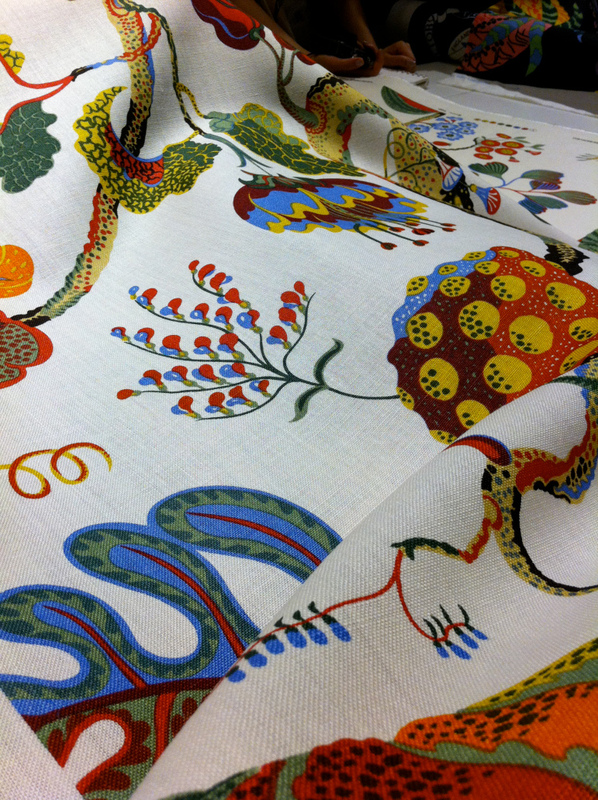 These fabrics were produced exclusively for Svenskt Tenn, the modern day gatekeeper of Frank’s legacy. 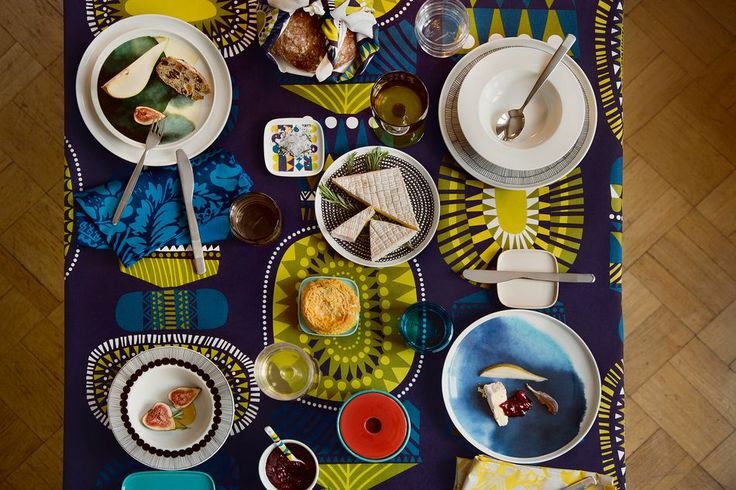 Today his fabrics are applied to everything from curtains, pillows, wood trays, handbags and furniture. 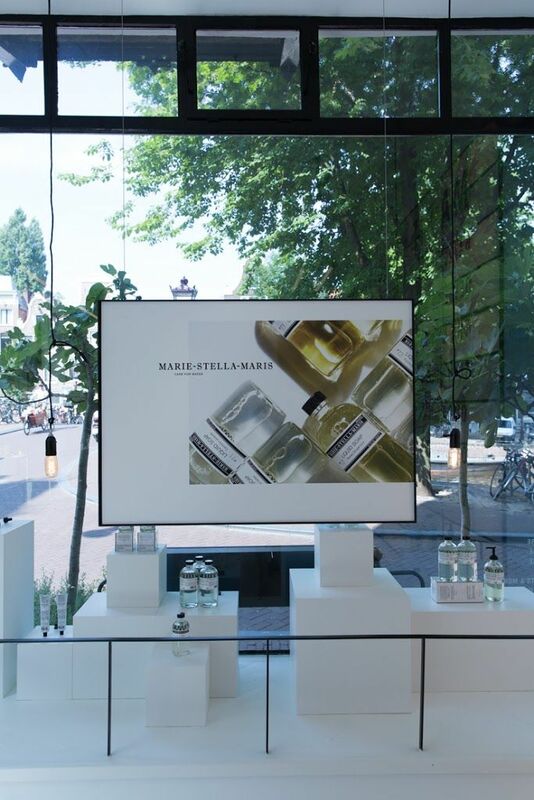 Visiting their store was an amazing experience and I can’t wait to go back! Today I’m sharing a few of my favorite floral motif patterns. 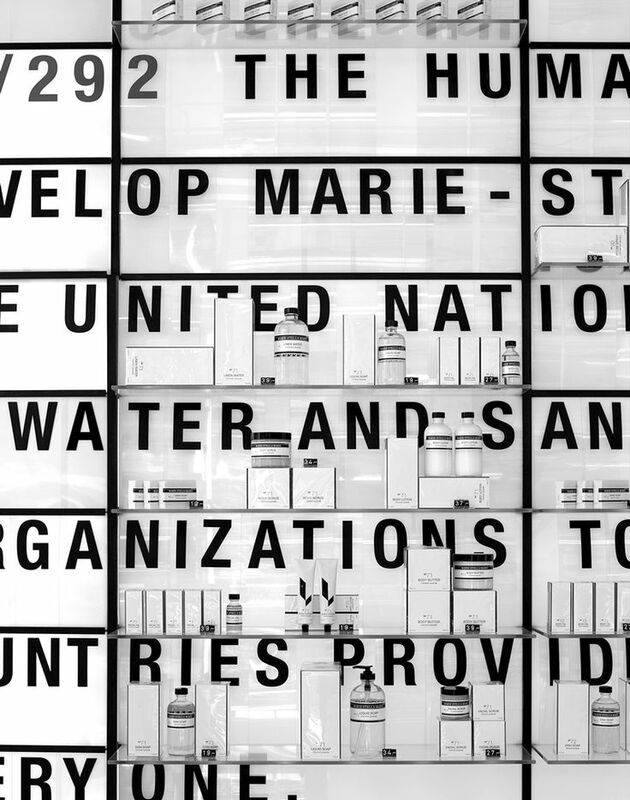 It’s clear nature served as a hugely inspiring source for the designer. Many of these prints are considered “classics” and are printed on just about anything today. What I love so much about these patterns is that despite having a narrow focus (plants, flowers, etc), each is illustrated so differently. Some prints are very realistic, a few look like botanical specimens, while others are fantastical imaginations of exotic botanical scenes. 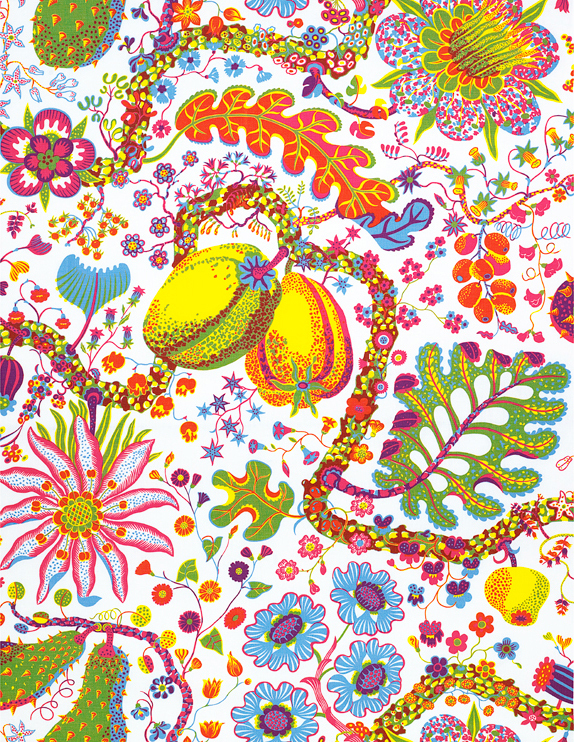 I hope you enjoy this trip down (blogging) memory lane as I once again share the beautiful work of Josef Frank. Get into it! “La Plata” by Josef Frank on Linen (above). “Loops” by Josef Frank on Linen (above). “Milles Fleur” (the French translation for a Thousand Flowers) by Josef Frank on Linen (above). 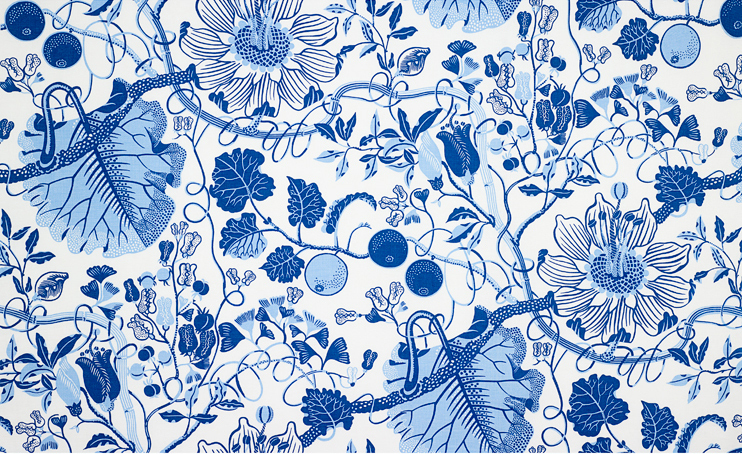 I love in this pattern, none of the flowers touch, each is an individual precious illustration instead of an all-over pattern repeat, less intertwined and complex, but still beautiful. “Primavera” by Josef Frank on Linen (above). 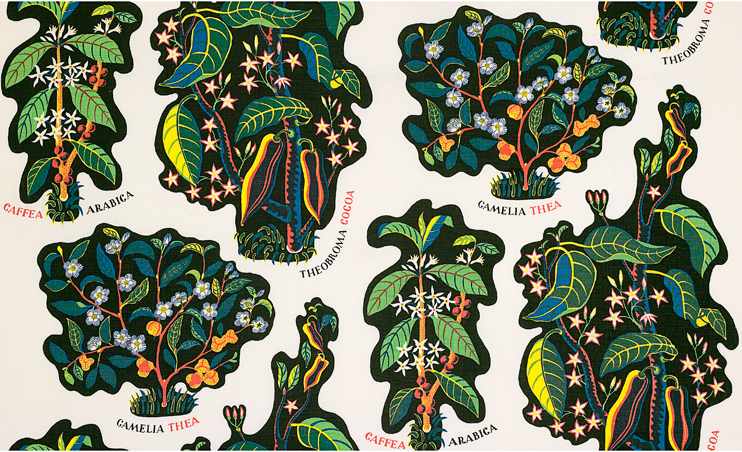 “Brazil” by Josef Frank on Linen (above). One of my favorites – look at the amazing colors! “Celotocaulis” by Josef Frank on Linen (above). 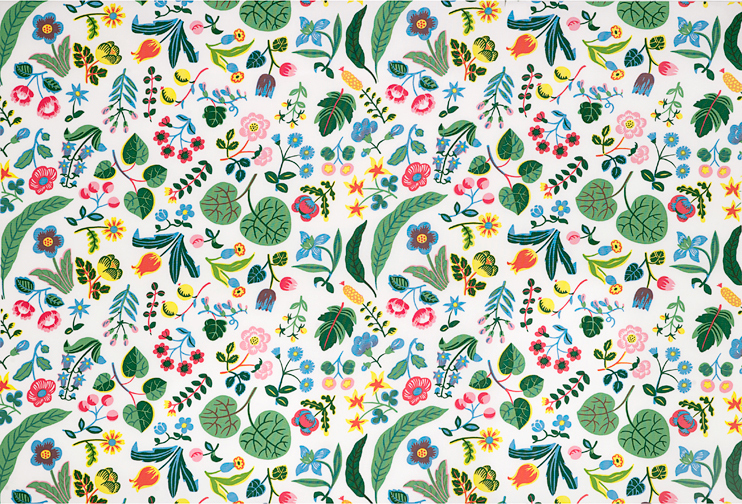 This pattern was originally designed by Josef Frank in the 1920s. Caulis is the Latin word for flower stalk and Celoto comes from an Asian flower species characterized by a plume-like flower cluster. This pattern is very different in style and repeat as you can see above with only slight pattern shifts. 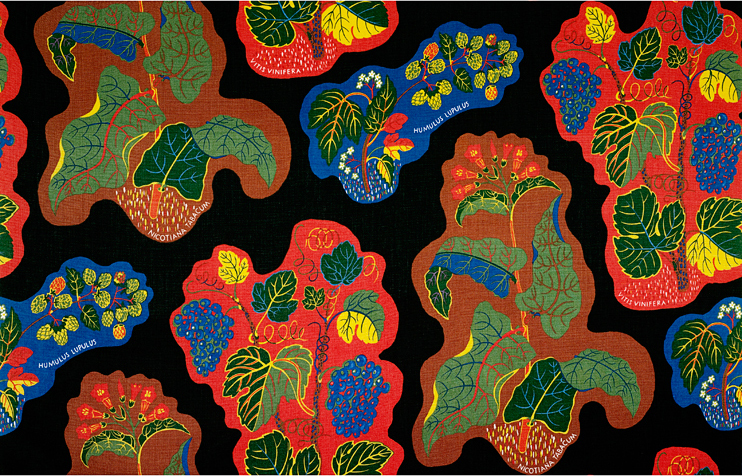 “Djungel” (or jungle) by Josef Frank on Linen (above). “Nippon” by Josef Frank on Linen (above). “Notturno” by Josef Frank on Linen (above). “Drinks” by Josef Frank on Linen (above). 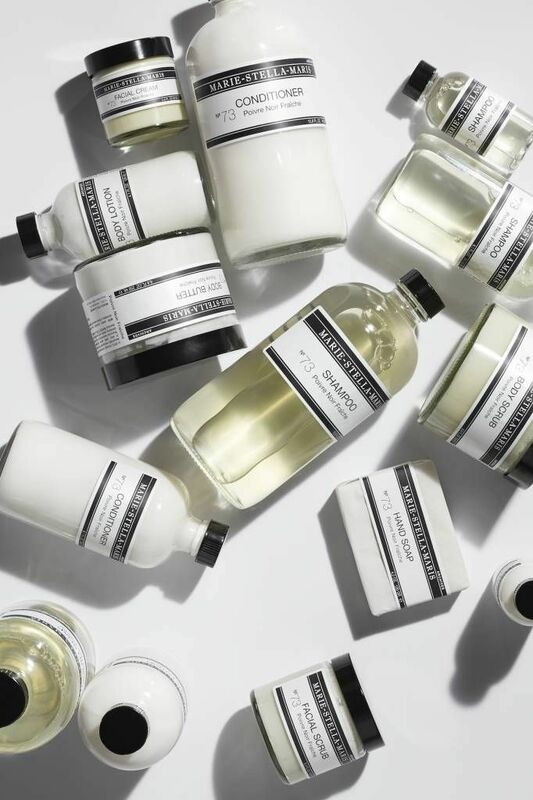 Also one of my favorites, love how this pattern looks like botanical illustrations, and how each plant is surrounded by black, making the illustrations look like cutouts. Super graphic! 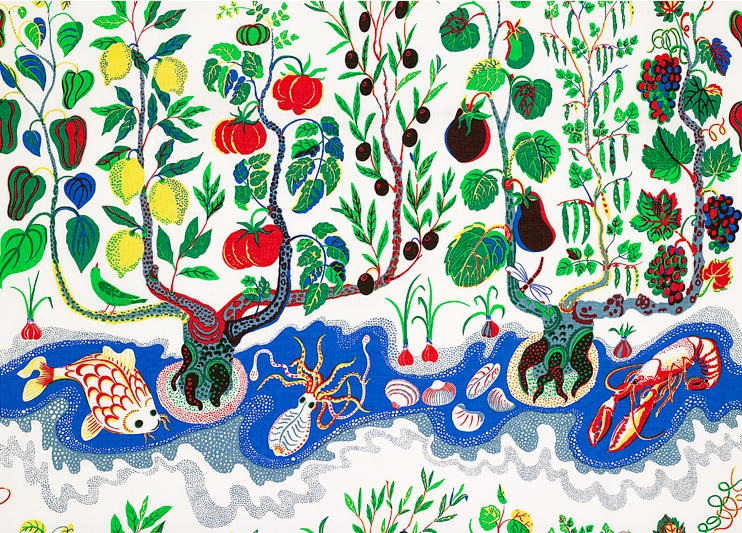 “Poisons” by Josef Frank on Linen (above). 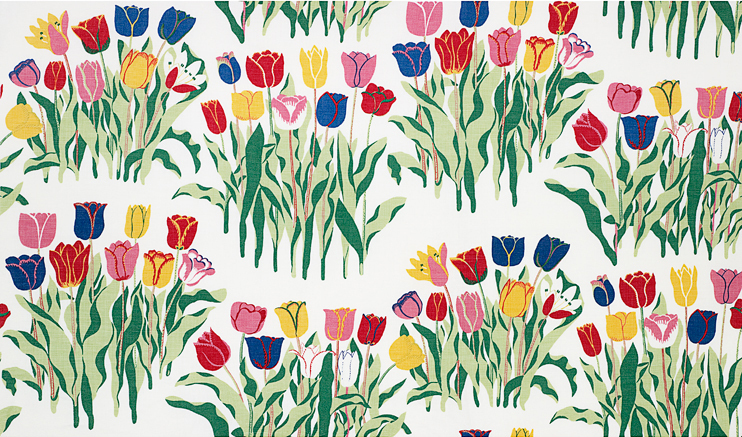 “Tulpan” (or Tulips) by Josef Frank on Linen (above). Huge Frank classic. 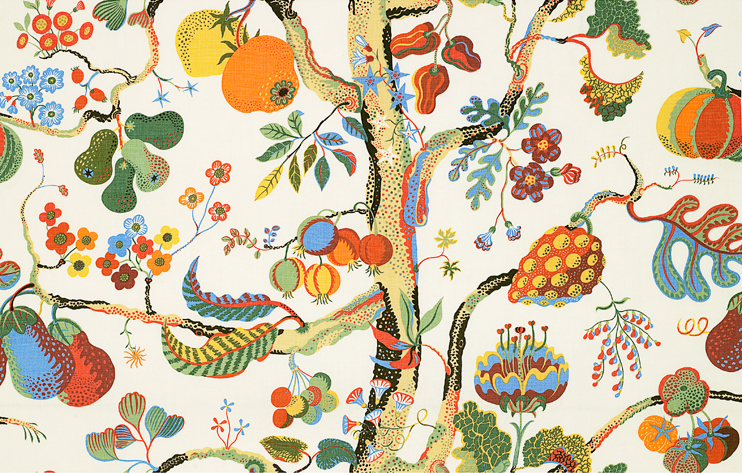 “Vegetable Tree” by Josef Frank on Linen (above). Hope you enjoyed Day 1 of my Josef Frank series, tomorrow I’ll be sharing more of Frank’s patterns, but with a new theme. Stay tuned.